Ignatius Ajuru University of Education (IAUE), Rumuilumeni, Port Harcourt Fresh and Returning Regular Undergraduates Students School Fees Schedule and Payment Procedures for 2018/2019 Academic Session - Download IAUE School Fees in PDF. 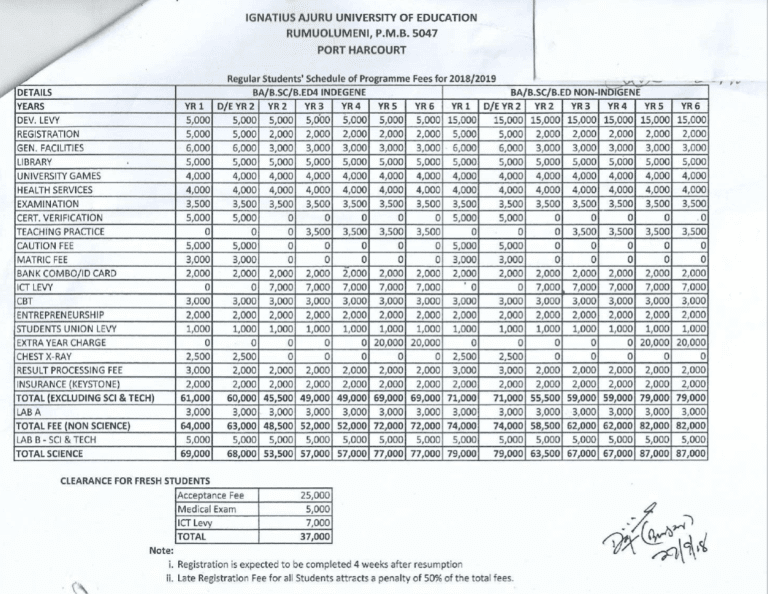 Authorities of the Ignatius Ajuru University of Education (IAUE), Rumuilumeni, Port Harcourt has released the school fee charges for all regular students, 2018/2019 academic session. Click Here to Download IAUE School Fees Schedule in PDF. Click Here to Download IAUE School Fees Payment Procedures in PDF.